Image SEO is important and an integral part of recipe and food blogs. Use these tried and tested ways of increasing recipe page views by enhancing image tags. “A picture is worth thousand words” is an old proverb but still holds true. And it becomes all the more important when you are involved in the business of sharing food recipes. People eat more than by eyes than mouth. Do you agree? Food has more to do with the different senses like nose, tongue and eyes. We are talking about eyes today and how you can increase your presence on Google search for Image and drive more traffic to your food blog. This is a juice of what we have learned and implemented to help us popularize our images. These points are specific to the image embedding in your website/blog article and other points of social sharing etc. are out of scope of this article. Take an example, I search Google images for a recipe. 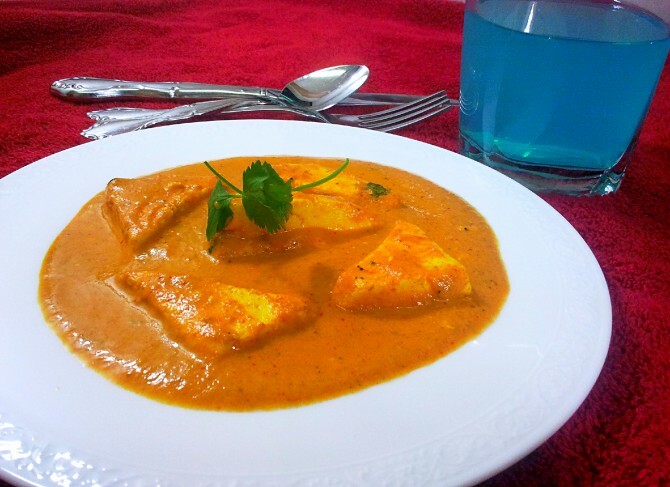 I want to find the recipe of Shahi paneer. Since everyone’s recipe is different, I want to find one with orange curry, and I don’t want to go through all the recipes. I can quickly find one by scanning the images to find the perfect looking recipe as per my need. I wouldn’t find that image if it wasn’t labeled or named as per requirements. If I scan the Google images to find the best one for me, there would be hundred other people doing the same. Imagine, how can they find your recipe through image (if it matches their imagination) if you do not have the right words in the alt tag? It is always advisable to have the keyword and a bit of description of the real image in the alt tag. Do NOT just stuff the alt tag with mere keywords. it’s not going to help your real searchers. I recommend keeping them below about 140 characters. It’s not a hard rule but it is advisable to follow the word limit. It should be descriptive and in line with what you’re trying to target for that page or recipe. The file name purpose is pretty much similar to the alt tag. If you have understood its importance, keep the file name on your list as next most important factor. Separate words in file-name by hyphens (Dashes) and not underscores or blanks or + or any other character. Try to keep the number of words restricted to 4-5. All images on a single article page SHOULD NOT have same name. Try to juggle words around the main topic of your article and add some more words. these more words should describe the specific image. The basic idea is that Google sees dashes between words as separate words, but underscores between words as joining those words together. So Google sees shahi-paneer as “shahi paneer,” but shahi_paneer as “shahipaneer”. Avoid using generic file-names like “image1.jpg”, “pic.gif”, “1.jpg”. They add no value to the SEO. Caption is the text that appears on or around the image. This text tells a lot about the image or the message that you are trying to convey. It can be treated as a replacement for ‘title’ attribute. It is a good practice to have the caption explaining the content of the image and provides a good user experience both on desktop and mobile platforms. See bottom of this article for an example of the image with a caption. The Shahi paneer Image has caption. The EXIF meta data contains useful information about the photograph like the date it was taken, the author etc. It can also contain advanced information about the camera used, the lens, the focal length and other such option including the geo-location of the photo (the longitude and latitude information). Google is using such data to rank and index pictures and hence it becomes really important for you as the image publisher. As a food photographer of a recipe site, it can potentially open up new segment of audience for you. People looking to learn photography may be searching Google for food pictures which have been taken by a Canon camera and a 1.4 inch focal length. And if your site’s images carries these attributes in the EXIF meta data, you stand a good chance to feature in results even though the user never searched for Shahi paneer! Almost all smartphone camera and DSLR’s these days have the capabilities to add the EXIF data to an image, by default. Please note that it is removed by some FREE image editing tools while editing and hence, you need to make sure that it is re-written to the edited image or is preserved by the editor. To check an image’s EXIF data on windows system, right click on the image and choose ‘properties’->’Details’. Here, all the EXIF data would be shown along with ‘Advanced photo’ details like the Lens, Contrast, brightness and more. This is the same place where you can even add the EXIF data manually if it has been removed after editing. Try to keep it as less as possible without losing the quality and content. Images heavy in size (>1 MB) stand a lesser chance of getting indexed in Google search. They would also de-motivate people as they would have high page loading times and consume more internet data. First preference should be JPG followed by PNG and then GIF. This does not make any difference to Google search but certainly helps in providing good user experience. The title, if provided is shown as a tool tip when user hovers on the image. You can skip it if you want as the Image caption (mentioned above) can help the user know more the image. If you use WordPress like us, you can use the media manager to update image’s alt, title and caption. If your old images do not have the dashes in image names, re-upload them after changing the name. There is no way to do this directly in WordPress. Please note that you would also need to re-add the new image to the article after uploading. Is there any WordPress Plugin for Image SEO Optimization? We don’t use any plugin for editing image attributes. Each WordPress plug-in that we use adds an extra weight to page load time and hence we try to keep them at minimum. Also, most of the WordPress image SEO plug-ins just aim to add ‘alt’ and ‘title’ attributes to images. Some go a step ahead and add Facebook open graph image tags in the header section. If you are using Yoast wordpress SEO, you already have the option of Facebook open graph tags there (SEO settings -> Social -> Facebook -> Add open Graph Meta) and hence there is no need to add an extra plug-in. Can we keep alt, title, Caption and file name as same? Yes, you can keep all of them same. alt="Shahi paneer - The sunset color"
But, do keep in mind that we have given different guidelines for maximum number of words/characters for alt and file name. Do not breach those if you want the optimum results. Next in the line of image optimization is the EXIF data and its usability. Keep watching this space for the detailed analysis soon.